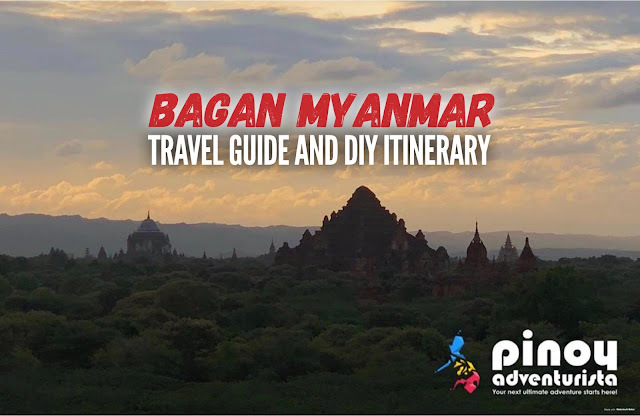 Planning a trip to Bagan, Myanmar for the first-time? I hope this Bagan Budget Travel Guide Blog 2019 with DIY itinerary, things to do, and budget for first-timers help you in planning an amazing Myanmar adventure! Bucket list checked! 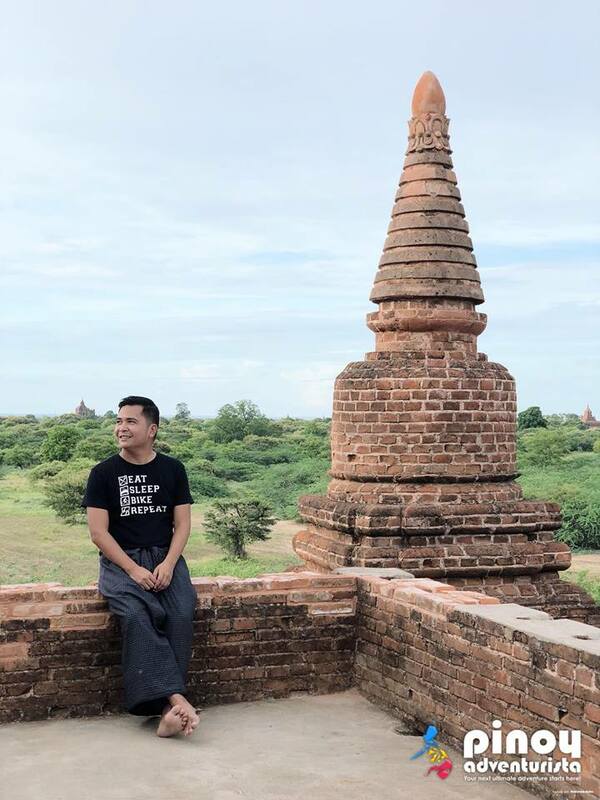 That's what I said to myself when I finally set foot in Bagan. If there's one must-visit destination in Myanmar, that I've been wanting to visit for the longest time, that would be Bagan. And I am so happy that finally, I got to visit and explore it few months ago. Boasting with more than 2,000 temples and pagodas, Bagan in Myanmar is definitely a must-visit travel destination in Southeast Asia. 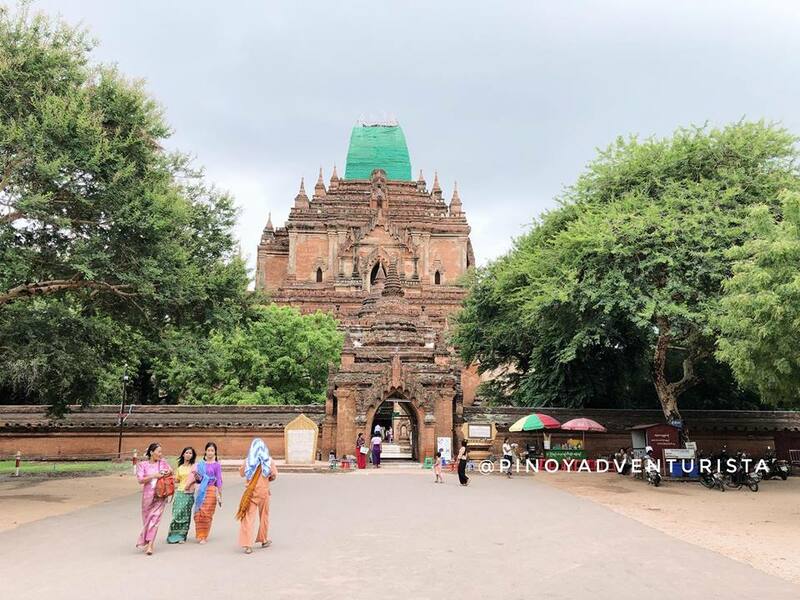 Known as Myanmar's previous royal capital, Bagan is popular among tourists; and undeniably Myanmar's top travel destination. 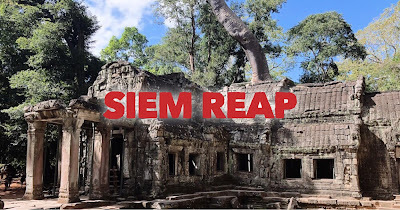 If Angkor Wat in Siem Reap, Cambodia will amaze you with huge and monumental structures, Bagan will impress you with thousands of spire-topped temples and pagodas. I love that even with the influx of tourists, Bagan still retained a lot of its old-world charm. 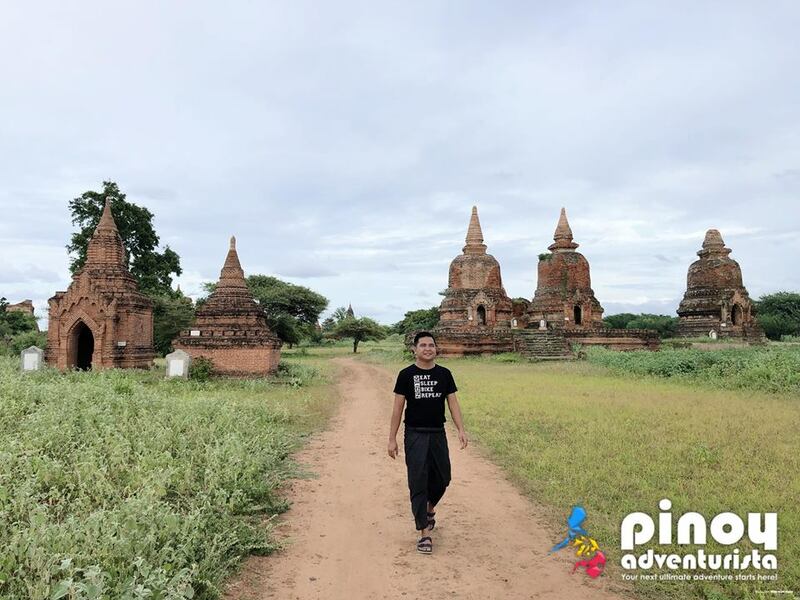 So, if you're planning to visit Myanmar, don't miss to explore Bagan. 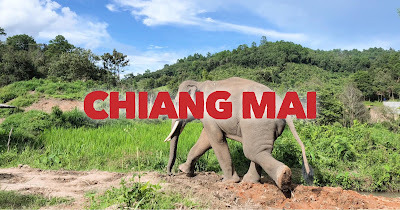 It is definitely a must visit for anyone travelling to Myanmar. WHAT'S COVERED IN THIS BAGAN MYANMAR TRAVEL GUIDE BLOG 2019? 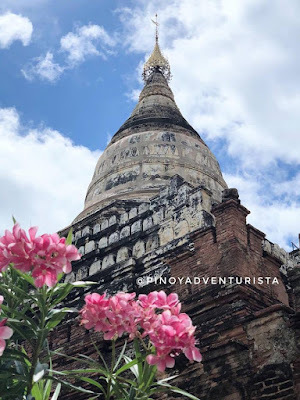 How to Get to Bagan from Manila Philippines? 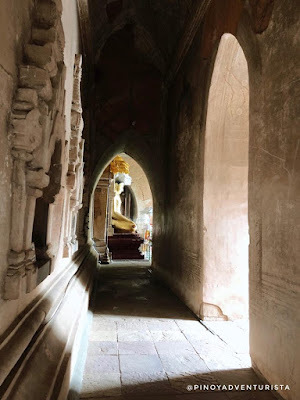 How to Get to Bagan from Mandalay? 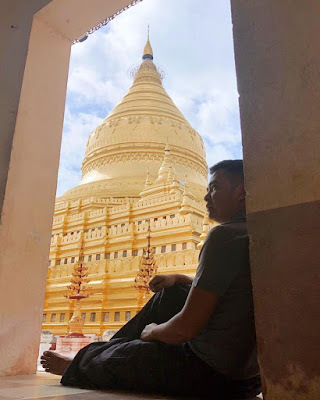 How to Get to Bagan from Yangon? 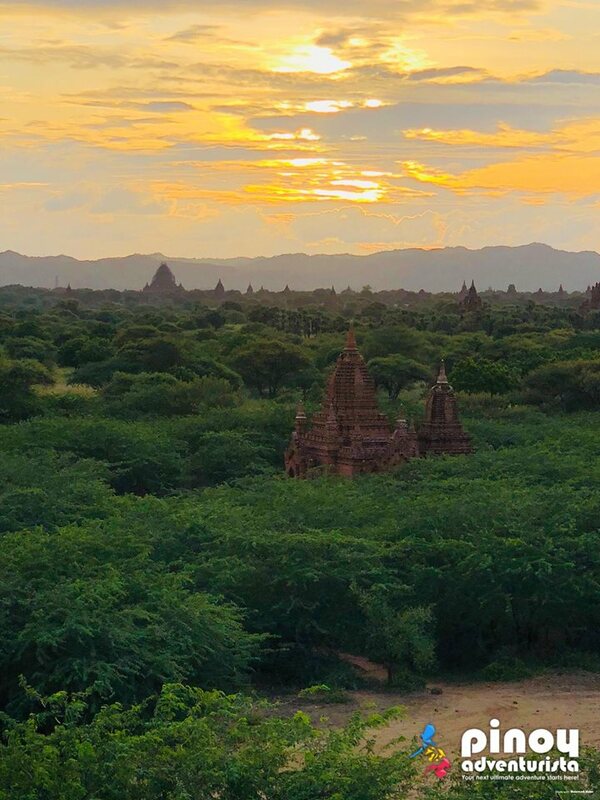 When is the best time to visit Bagan? 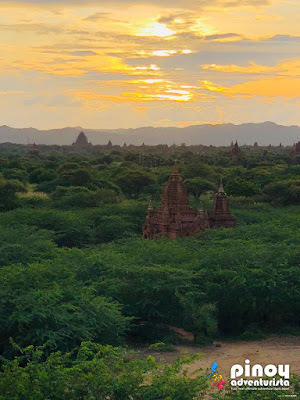 How many days to spend in Bagan? 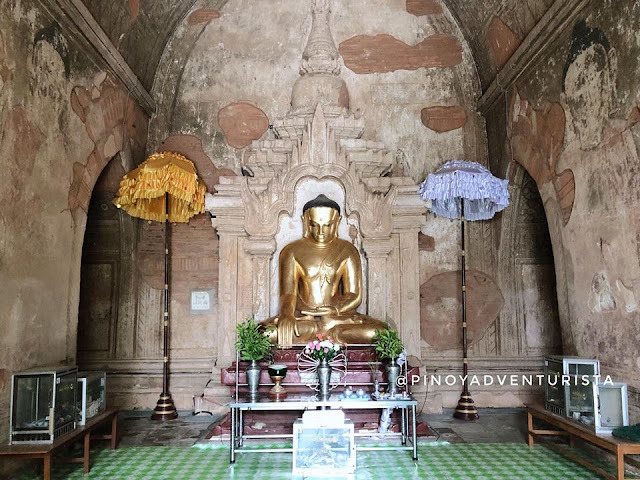 Where to exchange currency in Bagan? Where to buy Bagan Zone Pass and how much? 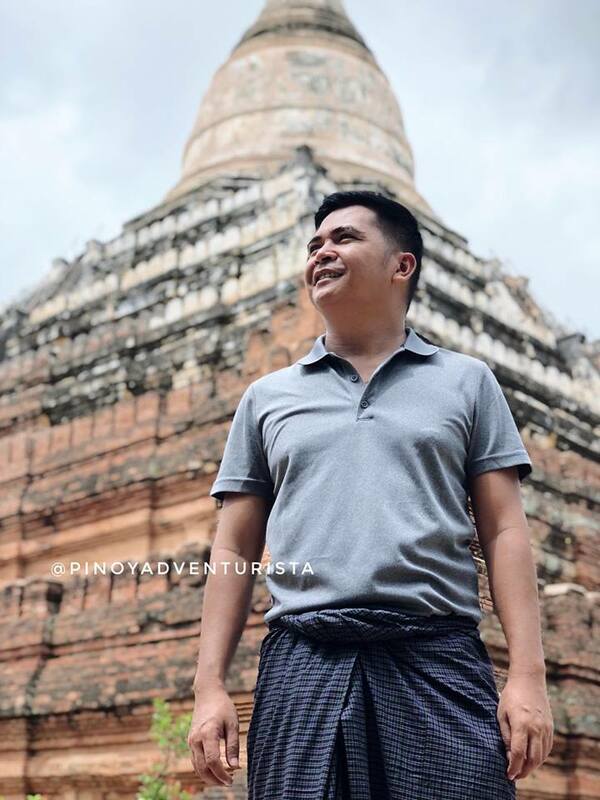 Currently, there are no direct flights from Manila to Bagan. Although there is an airport in Bagan called Nyaung U Airport, it only services domestic flights within Myanmar. 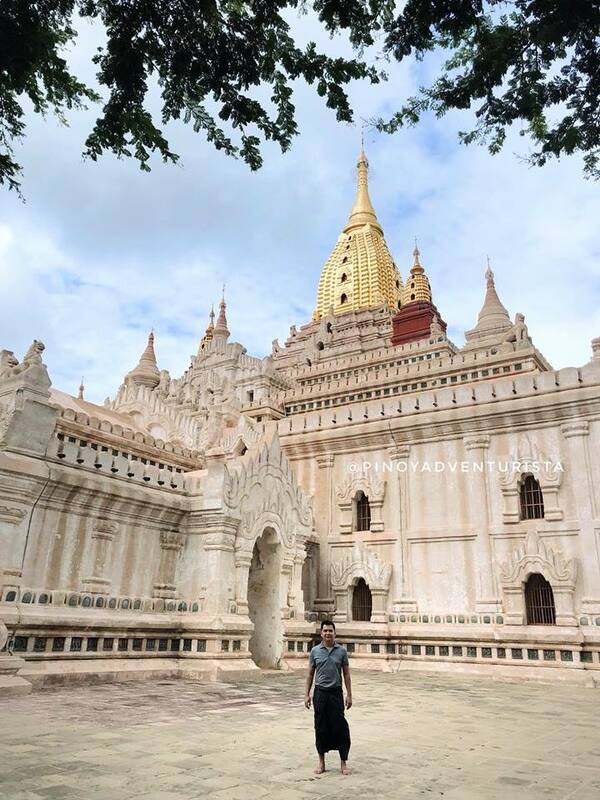 Bagan is located in between the two cities of Mandalay in Northern Myanmar and Yangon in Central Myanmar. If you're coming from Manila, the best thing to do is to take a flight to Bangkok, Thailand, then take another flight to Mandalay or Yangon in Myanmar. 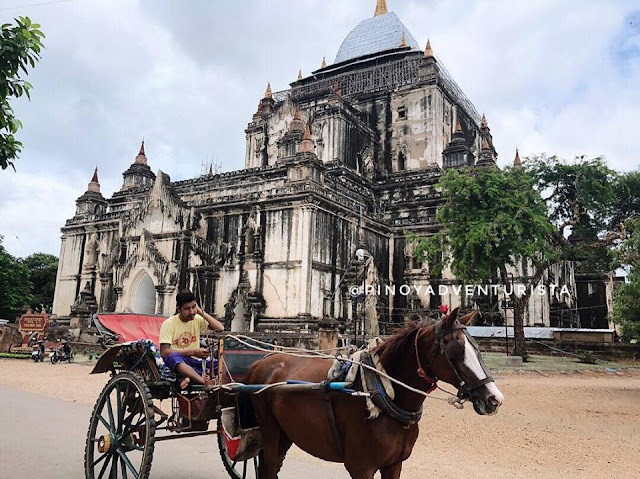 From Mandalay or Yangon Airport, you can take another flight (Domestic) to Nyaung U Airport then take an airport transfer to your hotel in Bagan. But if you want save on travel expenses, I highly recommend that you travel by land to Bagan from either Yangon or Mandalay. This will also give you the time to explore Mandalay or Yangon, depending on the route you choose. HOW TO GET TO BAGAN FROM MANDALAY BY BUS? Upon arrival at Mandalay Airport, take the airport shuttle from the airport to Mandalay city center then take a bus to Bagan. You can buy tickets from the ticket booths located at the arrival area (near the exit) of Mandalay Airport. If you need to exchange money, there are also money changers at the airport. 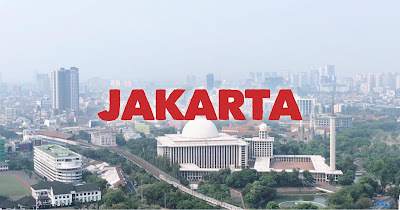 After buying the ticket, go out of the airport's arrival hall and you will see the mini-buses or shuttle bus that transfers passengers to the city center. Be sure to ask first before hopping into the shuttle bus to be sure that it is the correct bus going to the city. 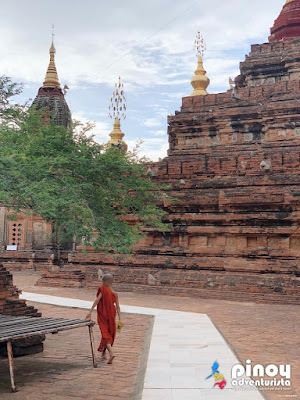 From the city center, you could take the bus bound for Bagan. We took the OK Bus Express that we booked online before going to Bagan. Travel time from Mandalay to Bagan is around 5-6 hours (with 1-2 stops) and fare is around ₱630 pesos per person. 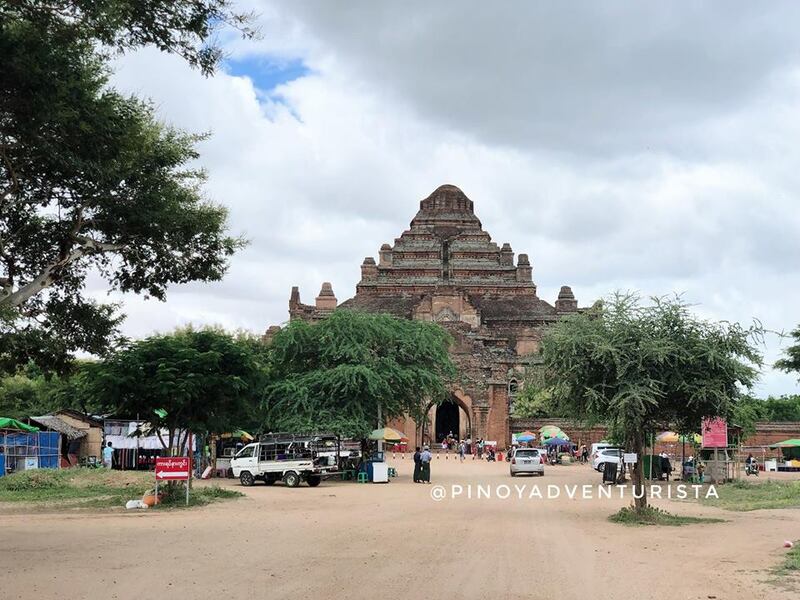 A cheaper alternative is offered at Klook for ₱ 572 for a one-way bus ticket from Mandalay to Bagan. 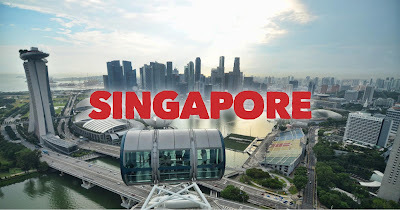 BOOK A BUS TICKET HERE! 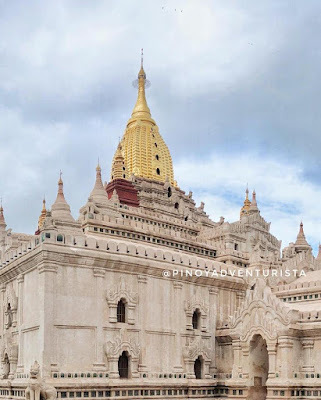 HOW TO GET TO BAGAN FROM YANGON BY BUS? From Yangon take a taxi or GrabCar to Aung Mingalar Bus Station where you could find the buses going to Bagan. Bus fares depend on the time, the bus company, and the type of bus you want to take. The most-recommended online which we also took is the JJ Express Bus. Fare is around 1,200 pesos per person and travel time from Yangon to Bagan is around 9-10 hours. I recommend that you take the night bus so you could sleep and not get bored on the long 9 to 10-hour drive. This will also save you one night on hotel accommodation expenses. Bus tickets from Yangon to Bagan and back to Yangon can also be booked online via the VIP Overnight Bus service offered by Klook. 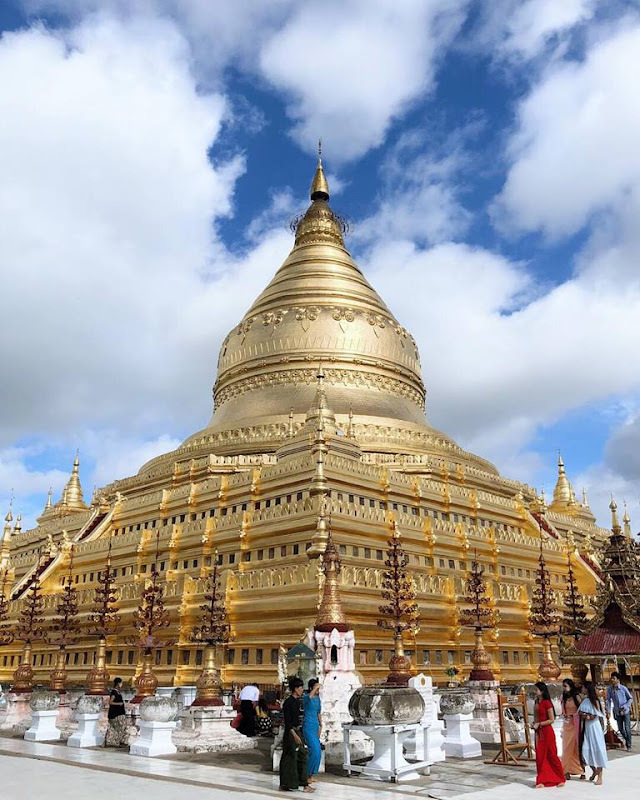 This includes an English-speaking driver, luggage allowance (backpacks or small piece of luggage), and one-way VIP Overnight bus ticket from Yangon to Bagan. Rate is ₱ 1,145 per person. Be sure to book in advance because these are highly in-demand. BOOK A VIP BUS TICKET HERE! TRAVEL TIP: For ease and convenience, book your tickets online. I highly recommend that you book your bus tickets in advance to be sure that you'll have a reserved seat when you get there and avoid any inconvenience especially during peak season. With booking your bus tickets in advance, you can plan your trip well and get to Bagan comfortably. 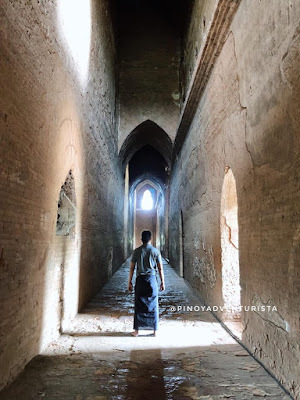 Filipinos visiting Bagan for tourism do not need a visa to enter Myanmar. 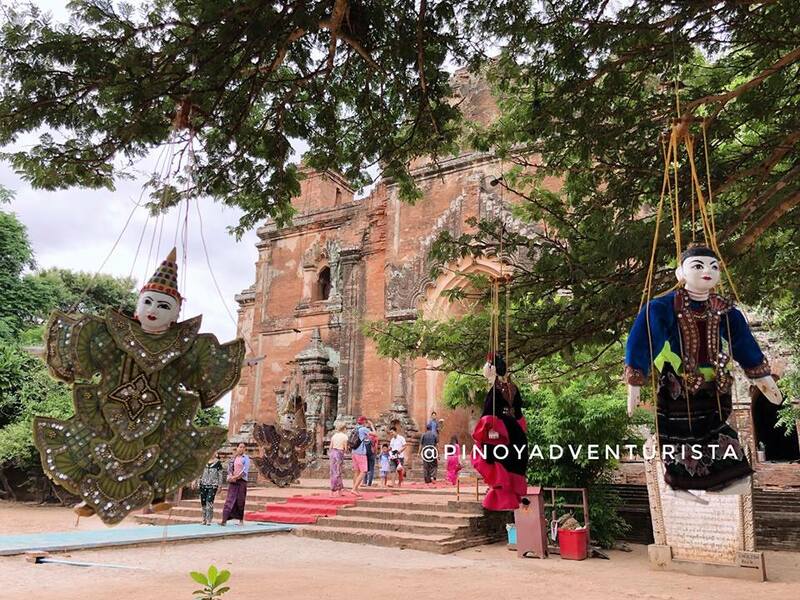 As part of ASEAN, Philippine passport holders are given visa-free stay in Myanmar for up to 14 days. 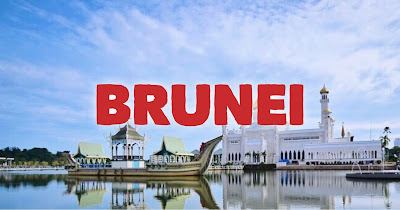 To avoid any inconvenience, always make sure that your passport is valid for at least 6 months, you have a booked return ticket back home or to your next destination, proof of financial capacity to cover your entire stay in Myanmar, booked hotel accommodation and tours/attraction tickets that you have pre-booked online. In some instances, the immigration officer might ask for any these. So, always be ready with your documents. 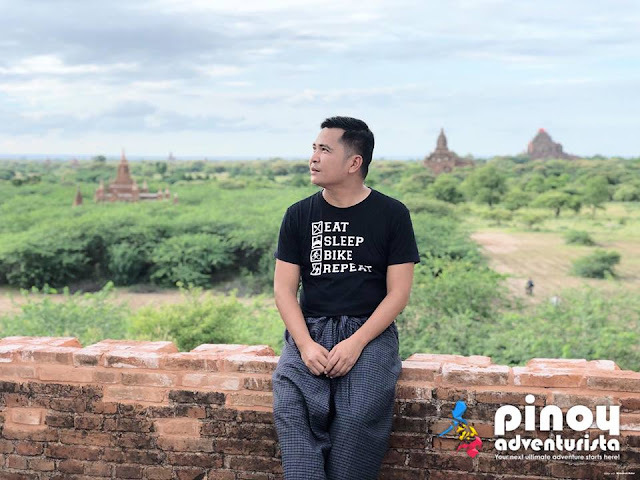 I believe that the best time to visit Bagan is based on the weather. Take note that summer months in Bagan is from March to April, rainy season is from March to October, and winter months are from November to February. 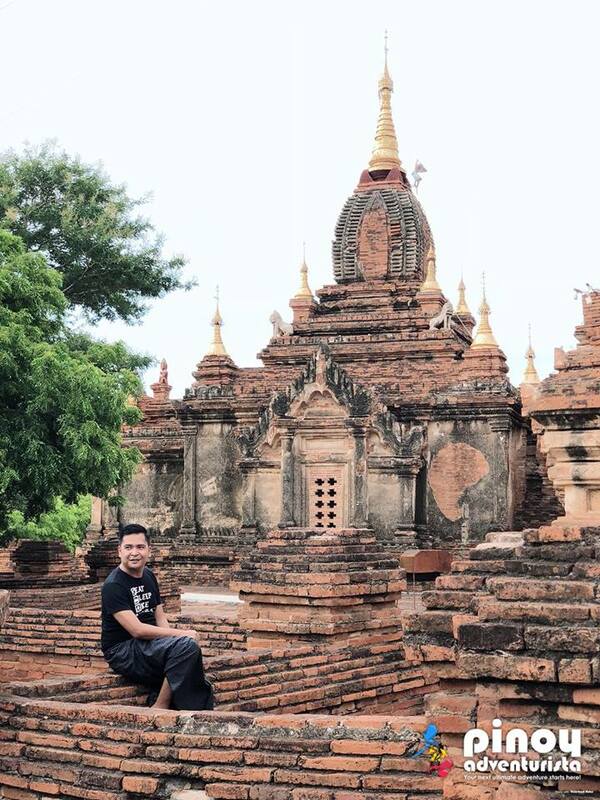 But for me, any season is fine and it depends on the activities in Bagan you want to do. 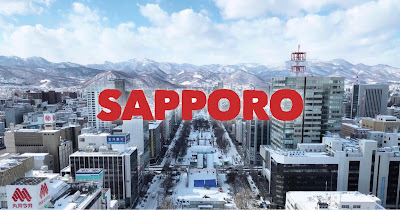 If you go here for the temples, any season would be the best time to visit. But if you're visiting to see or experience riding the hot air balloon, winter is the best time to visit. Check the rates here for the Bagan Hot Air Balloon Sunrise Experience. Our Bagan trip happened in July. The weather is a bit hot (just like the weather in the Philippines), and we also experienced light rains. 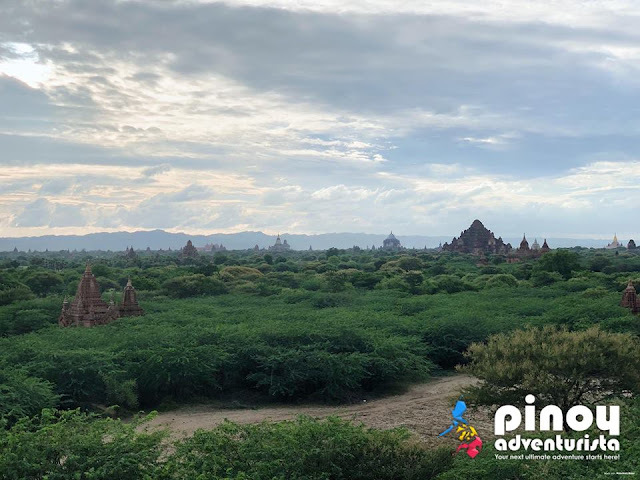 Be sure to check the weather before traveling to Bagan. If you're traveling during the summer months (March to April), wear light and breathable clothes and bring a face mask to protect you from the dust. If you're traveling during the rainy season (March to October), be sure to bring an umbrella or raincoat to protect you from the rain. And if you're traveling during winter months (November to February), be sure to bring a jacket. It will depend on your travel style, what are the activities you want to do, and the tourist spots in Bagan you want to visit. 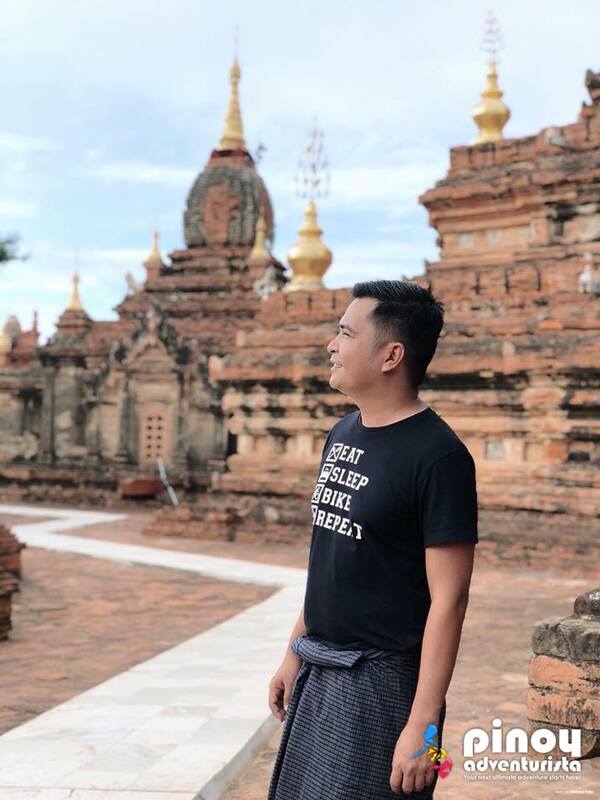 For me, I would recommend 4 days and 3 nights itinerary in Bagan. 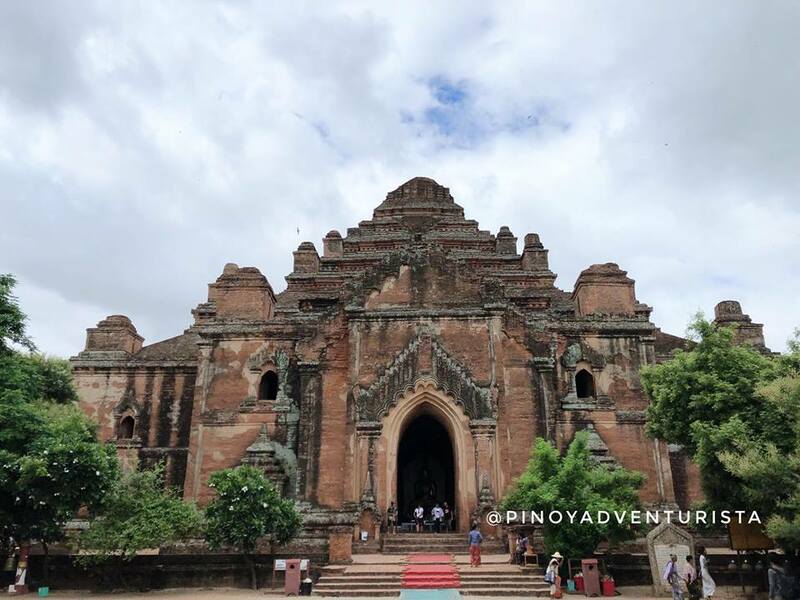 You may check out my sample 4D3N Bagan Itinerary below. 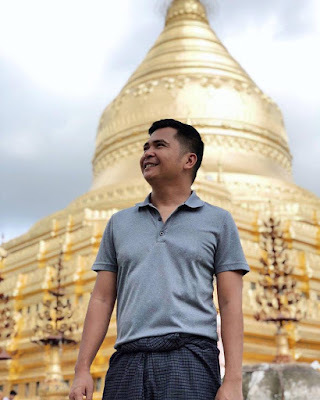 To stay connected to the internet while in Myanmar, be sure to buy a Myanmar Prepaid 4G SIM Card. 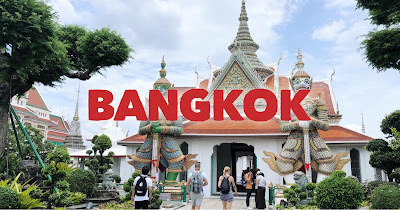 We bought from Klook an unlimited 4G data SIM card that is valid for 8 days for 565 pesos and picked it up upon arrival in Bangkok. BUY A 4G SIM CARD HERE! The currency in Myanmar is called Myanmar Kyats (abbreviated as MMK or K or Ks), and you will be needing this for your expenses while traveling in Bagan. Exchange rate is around 100 MMK = 3.41 PHP or 0.065 USD. You can find money changers at the airports in Yangon, Mandalay and Nyaung U. Since we came in via Mandalay, we changed some of our money at Mandalay Airport. We also withdrew money from the ATMs when we ran out of cash. 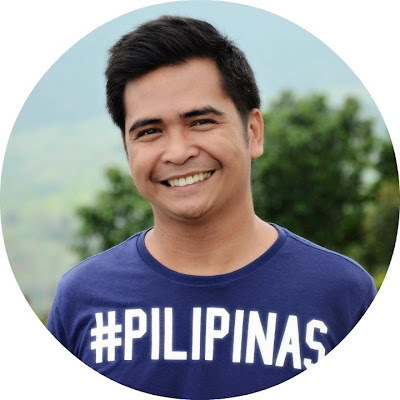 As I always recommend, be sure to inform your bank before leaving the Philippines that you will be withdrawing money from ATMs abroad to avoid any inconvenience. You can also change your money in some banks and money changers in Bagan. Some hotels can also change your money. In the hotel where we stayed at, the food at their restaurant are priced in USD. They accept USD as payment and your change will also be in USD. Please note that they only accept bills that are in good and crisp condition. If there is a small tear or stain on the bill, they will refuse to accept it. Also, Philippine Peso is not widely accepted at banks or money changers in Myanmar. 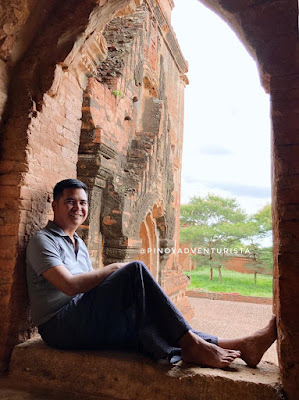 I suggest that your bring USD or Euros when traveling to Bagan. 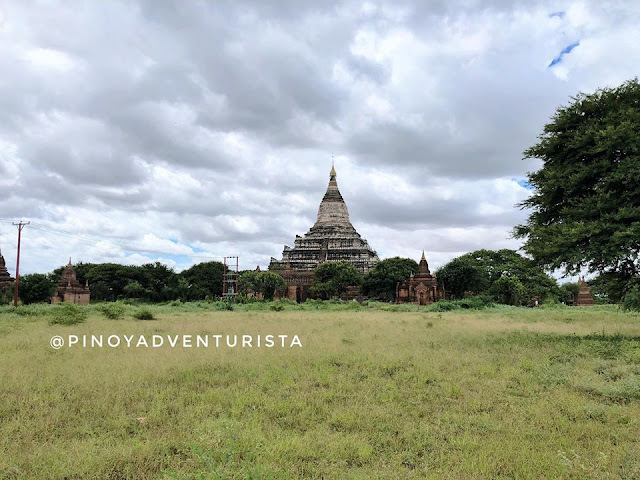 The most recommend areas to stay in Bagan are: Old Bagan, New Bagan, and Nyaung U. During our trip we decided to stay at the lovely Zfreeti Hotel located at Nyaung U area. 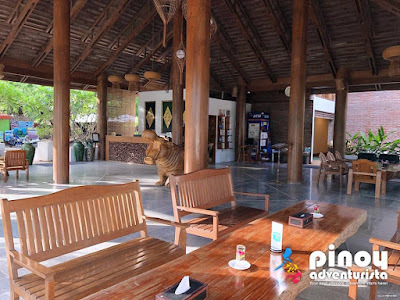 It's a budget hotel in Bagan but it doesn't feel that it's a budget hotel. It feels like it's a mid-range resort in Boracay. 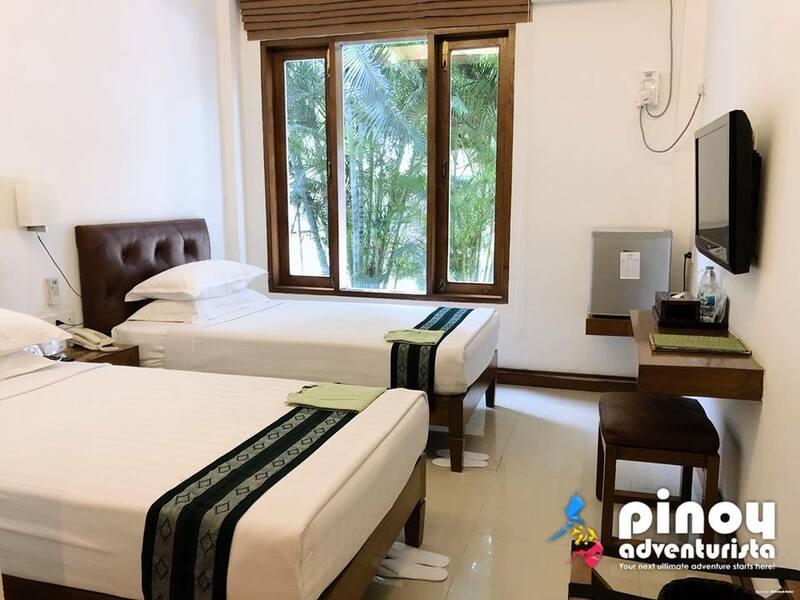 Our booked room is a standard room with an air-conditioning unit, an en suite toilet and bath, television set, free WiFi connection, and complimentary buffet breakfast for 2 persons. 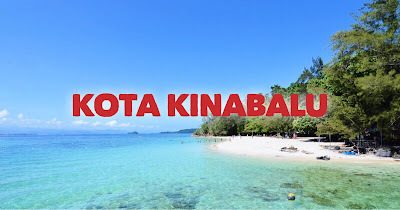 We booked it for PHP 1,780 pesos per night. 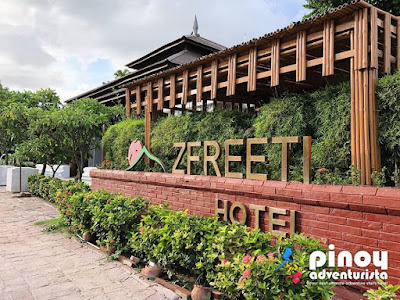 What I love about Zfreeti Hotel is that it has a lovely swimming pool which makes you feel like staying in a resort, clean and spacious room with a lot of space to move around, amazing customer service, friendly staff that can converse in English, and an in-house restaurant that serves delicious and affordable local and western dishes. So, if you're visiting Bagan, I highly recommend Zfreeti Hotel! CHECK ROOM RATES AND AVAILABILITY HERE! Here are the other top-rated hotels in Bagan, Myanmar. These hotels are also popular among guests and with excellent ratings and guest reviews. You can save as much 50% off when you book in advance online. Aureum Palace Hotel and Resort - Book Here! 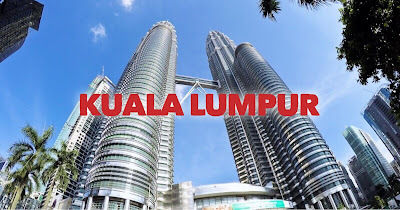 Sky View Hotel - Book Here! Royan Bagan Hotel - Book Here! BaobaBed Hostel Bagan - Book Here! 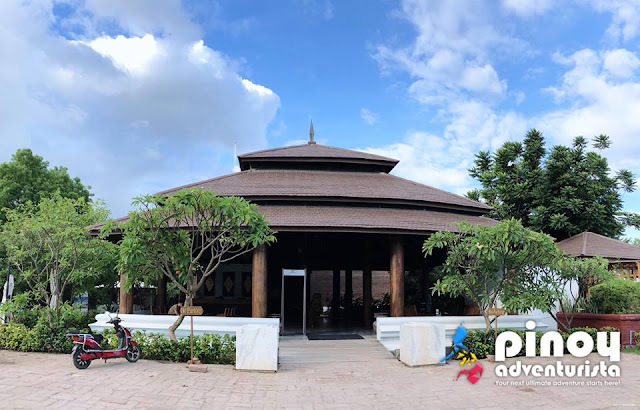 WEStay @ Bagan Lotus Hotel - Book Here! Hotel Zein - Book Here! Myanmar Han Hotel - Book Here! Bagan Thande Hotel in Old Bagan - Book Here! Ananta Bagan Hotel - Book Here! 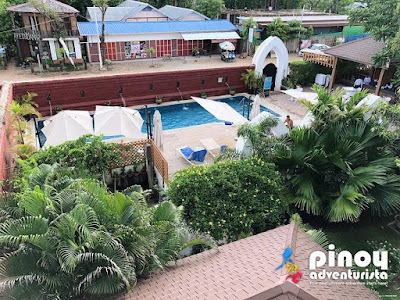 Crown Prince Hotel - Book Here! Amazing Bagan Resort - Book Here! WHERE TO GET A "BAGAN ZONE PASS" AND HOW MUCH? 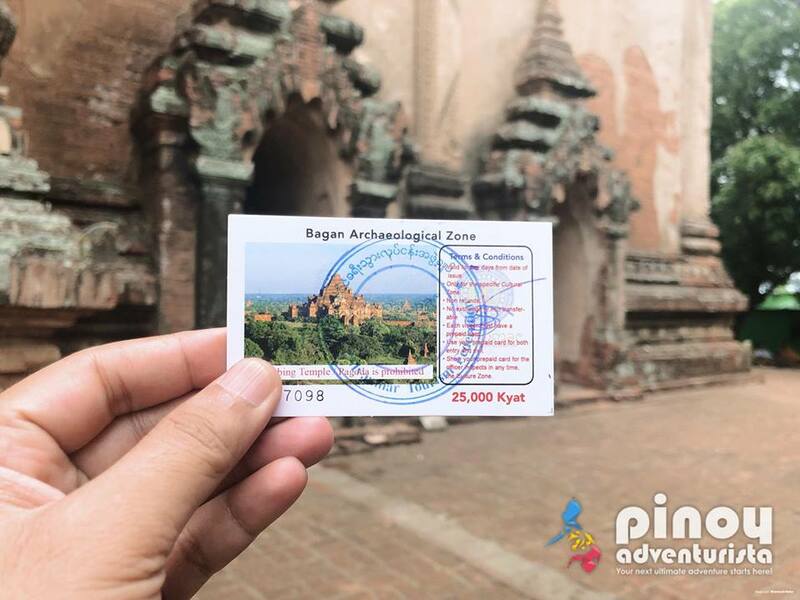 Upon entering Bagan whether by air or by land, you have to secure a Bagan Zone Pass. 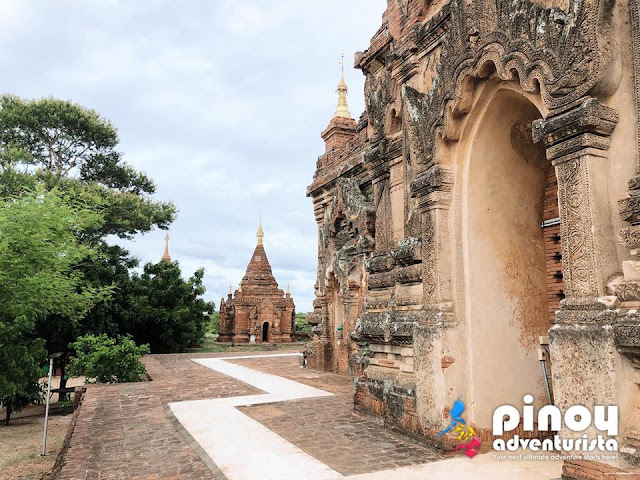 To visit the temples and pagodas in Bagan, you need to have a Bagan Zone Pass. 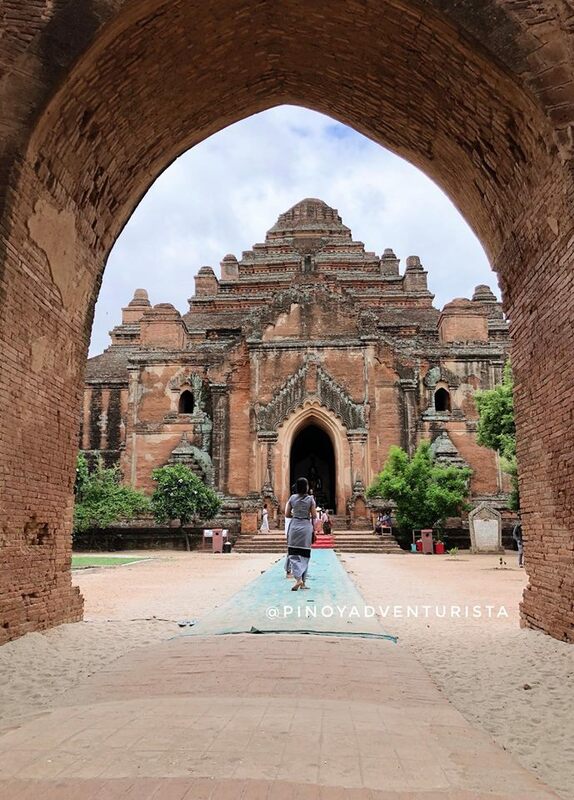 Being an archaeological zone, all tourists are required to get this pass upon entering Bagan. The passes are usually sold at the airport, bus stations, or at the border-entry of Bagan. In our case, since we traveled by bus from Mandalay, we bought our Bagan Zone Pass upon entering Bagan. Our shuttle bus stopped at the border and a man entered the bus and sold to us the Bagan Zone Pass. It costs 25,000 Kyats ($17 USD or 904 PHP) and each pass is valid for 3 days. Make sure to keep your pass and always bring it with you for the whole duration of your stay. There are officers that will check it upon entering or exiting the temples, or at any given time. 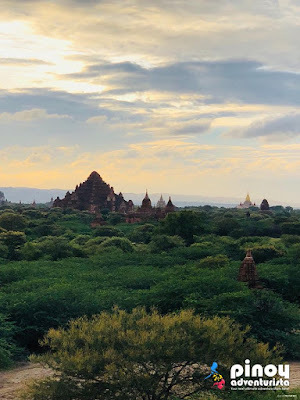 Here are the temples and pagodas we visited during our 2-day temples tour in Bagan. The first destination for our temples tour on our second day in Bagan is the Shwezigon Pagoda. Located in Nyaung-U, the Shwezigon Pagoda is a circular gold leaf-gilded stupa surrounded by smaller temples and shrines. This pagoda is believed to enshrine a bone and tooth of Gautama Buddha - a primary figure and founder of Buddhism. Our driver told us "our next destination is Ananda Phaya, one of the most beautiful temples here in Bagan." And he is correct, it is indeed beautiful! 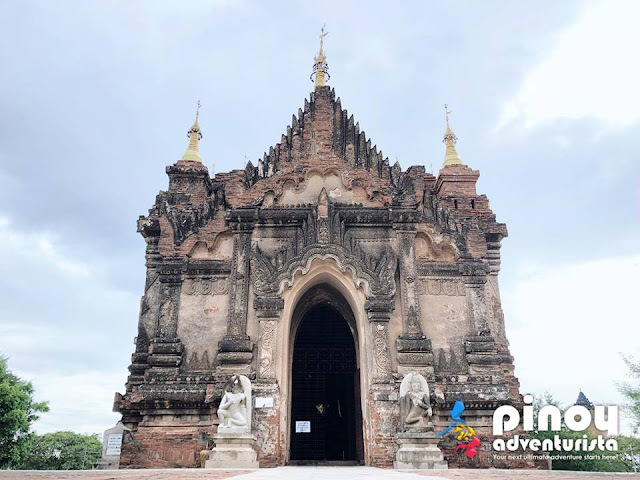 Ananda Temple is a Buddhist temple built in 1105 AD during the reign of King Kyanzittha of the Pagan Dynasty. 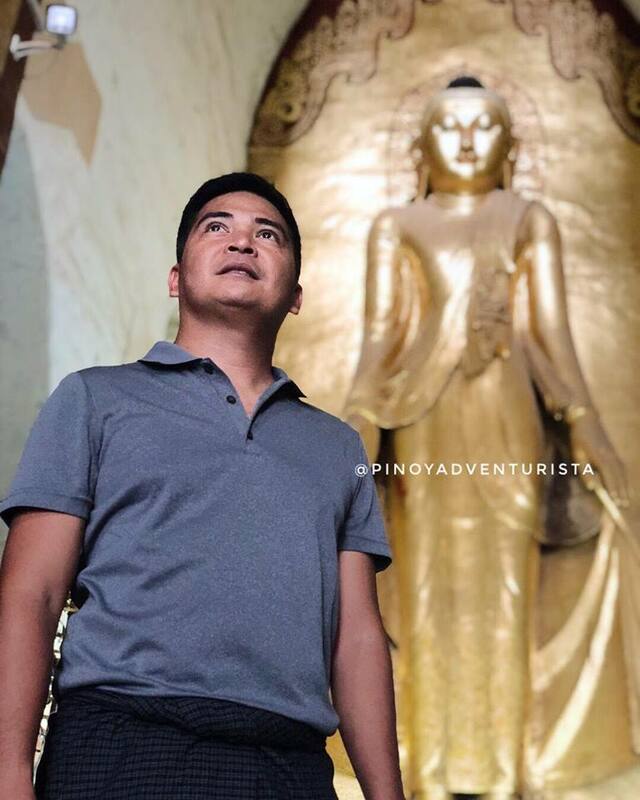 Inside, you’ll see four huge standing Buddhas adorned with gold leaf and each one is facing the cardinal direction of East, North, West and South. I love how lovely it is and very well maintained. Don't miss to be mesmerized by the intricate relief carvings at the temple's doors and outside surface. Built in the mid-12th century, Thatbyinnyu Temple is one of the highest monuments of Bagan. Inside, you’ll see a number of seated Buddha images seated in pedestals along the temple's corridors. Currently, it is under restoration after some of its parts were damaged by the 6.8 magnitude earthquake that shook Bagan in August 2016. 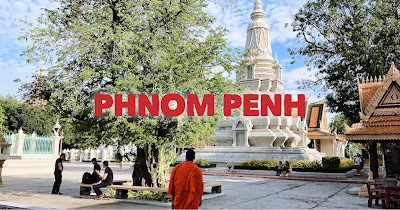 Near the temple are some souvenir shops, food kiosks, as well as small pagodas and temples that you can visit too. Just walk around and you can see them just a short distance from Thatbyinnyu Temple. 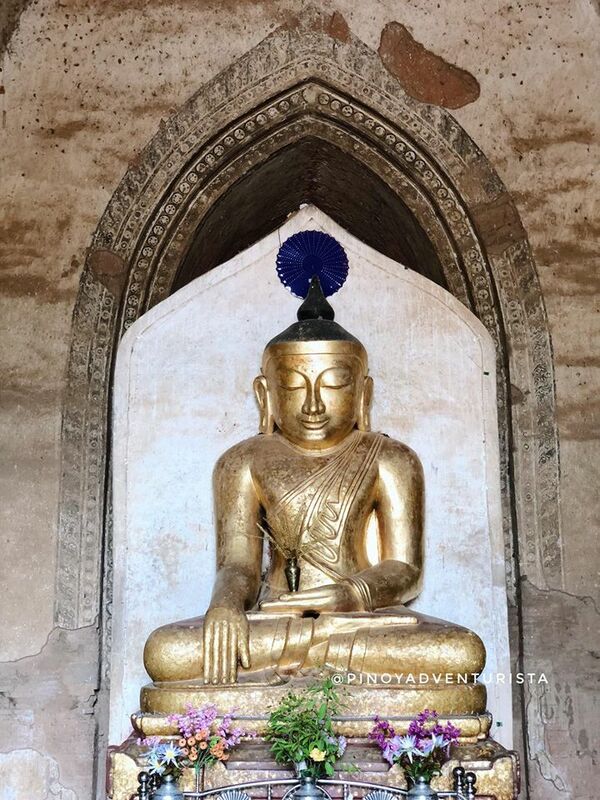 Another popular pagoda in Bagan,is the Shwesandaw Pagoda that was built in 1057 by King Anawrahta. This tall pagoda has a series of five terraces, topped with a cylindrical stupa, which has a bejewelled umbrella. It is believed that this pagoda has the sacred hairs of Gautama Buddha. 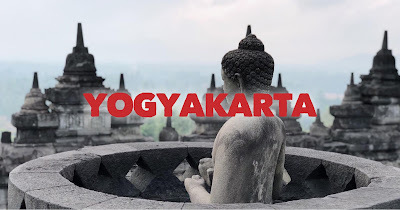 A favorite among tourists because you can climb to the top of the pagoda to see the sunset or the sunrise and panoramic views of other pagodas and temples. Unfortunately, climbing it is not allowed anymore. 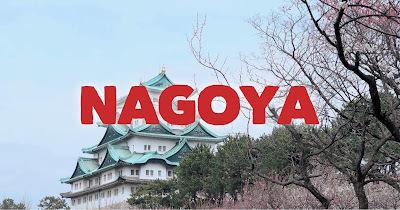 Of all the temples and pagodas we visited, this is definitely one of my favorites. 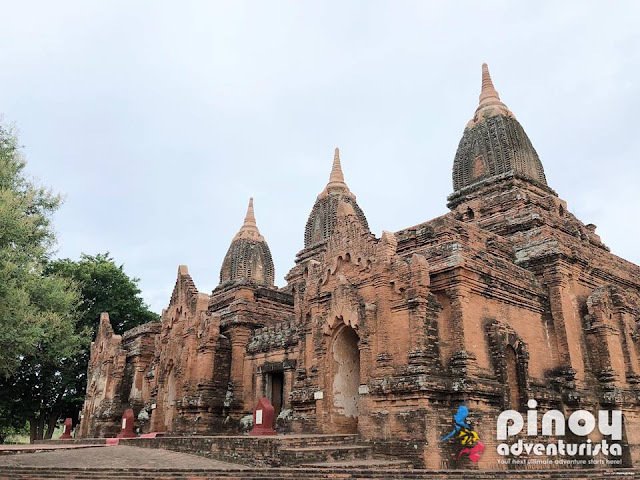 Dhammayangyi Temple was built during the reign of King Narathu from 1167 to 1170. 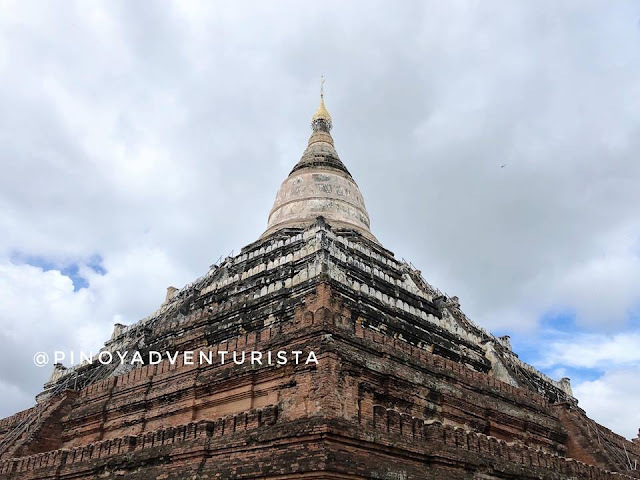 Also known as “Dhammayan,” it is the biggest of all the temples in Bagan. 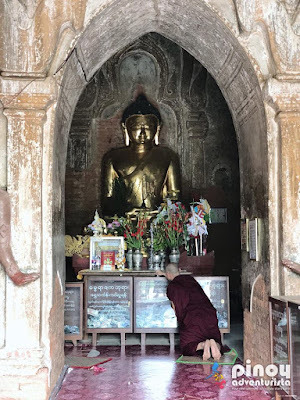 The last temple we visited on our first day of tour in Bagan is the Htilominlo Temple. 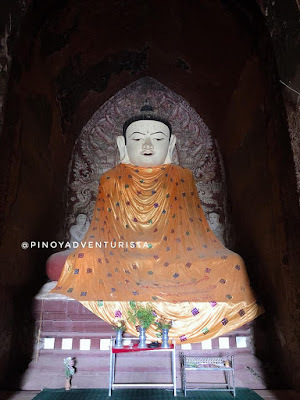 This Buddhist temple was built during the reign of King Htilominlo (where the temple got its name) from 1211 to 1231. Inside, you’ll see four Buddhas that face each direction of East, North, South, and West. Not to be missed are the glazed sandstone decorations and the intricate carved reliefs on the walls of the temple. Currently, the top part of the temple is being restored. 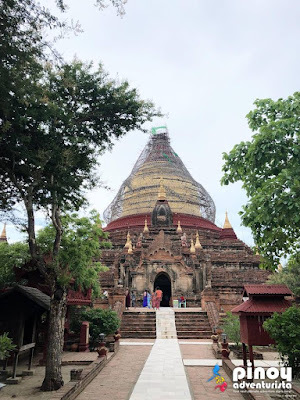 I guess, it was also damaged by the 6.8 magnitude earthquake that shook Bagan in August 2016. For ease and convenience, we booked our Bagan Temples Tour via Klook.com. The private tour includes a private car with convenient hotel pick-up and drop-off service, English-speaking driver/guide, cold bottled water, and a visit to 6 most popular and crowd-favorite temples in Bagan. See the itinerary below. 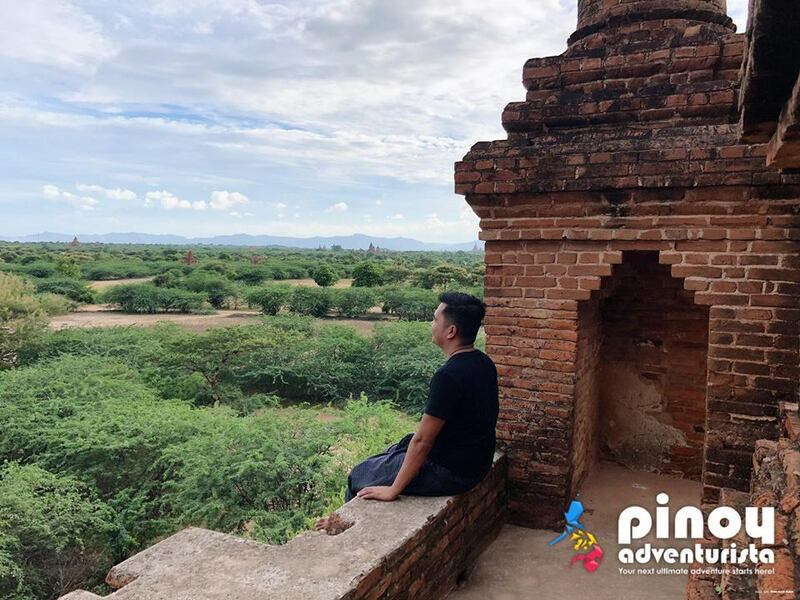 CLICK HERE TO BOOK A PRIVATE TOUR IN BAGAN! If you have more time, you can visit these 4 other temples. 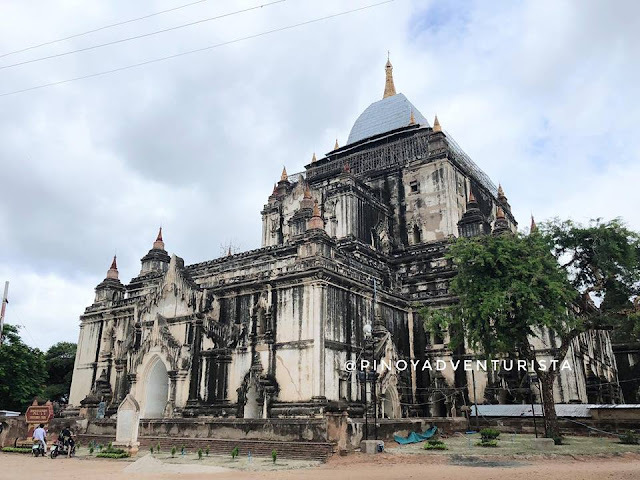 On our 3rd day in Bagan, we decided to rent a private car and visited other temples and pagodas on our own or DIY style. 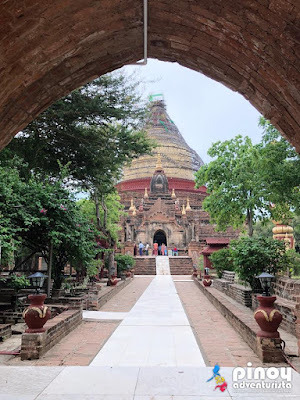 We visited Iza Gawna Pagoda, Phaya Thon Zu Phaya, Le-myet-hna Hpaya, and Dhamma Ya Zi Ka Pagoda. We ended the tour with a visit to the "Sunset Pagoda" where we enjoyed the sunset. 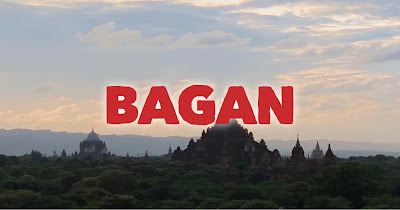 Click here for Bagan Private Car Charter. 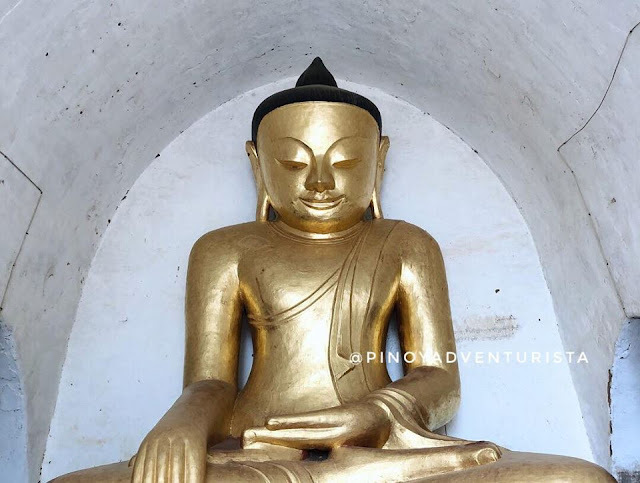 Located near the airport is the Iza Gawna Pagoda. It's a beautiful brick pagoda that is elevated from the ground. It has a unique character of its own and even if it's small compared to other temples, it has intricate details decorating its outer surfaces. One of the lesser known temples in Bagan, Phaya Thon Zu Phaya is quite simple. 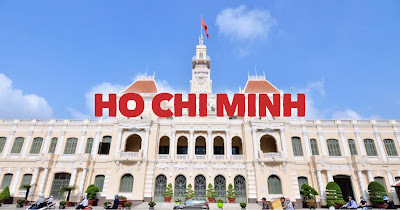 It's a brick temple with pointed spires on an elevated platform. In the article of Myanmar Times, it says that "According to historical evidence, the pagoda was built by King Tayote Pyay Min and comprises ancient stucco decorations, terracotta plaques and wall paintings." 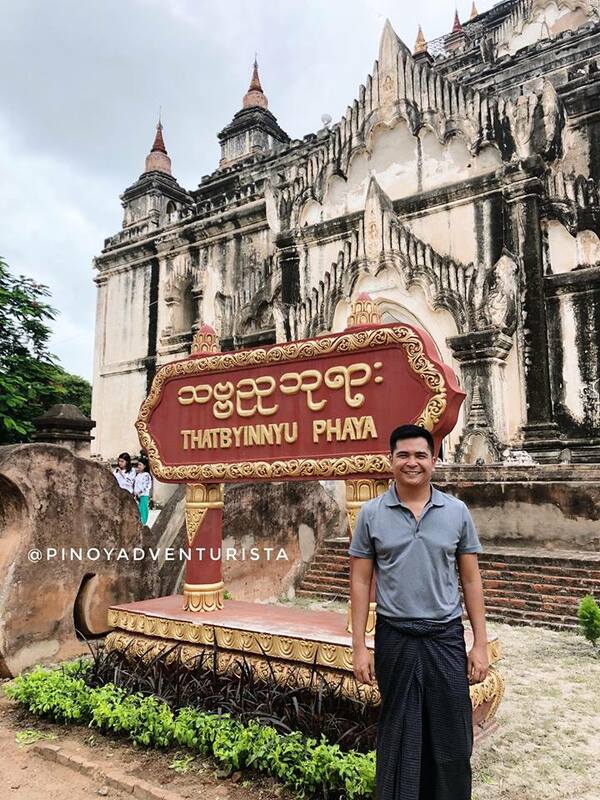 According to the information posted outside the temple, "Le-myet-hna Hpaya was built in 1223 A.D. by Minister Anandathuya. It is surrounded by a brick enclosure and the temple rests on a high platform. The main entrance faces east and the walls inside have mural paintings with ink inscriptions. 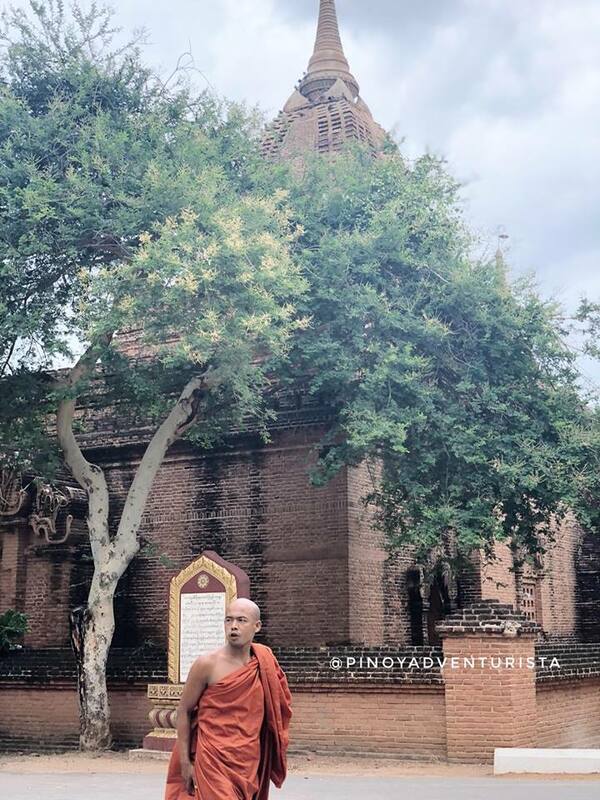 Apart from the temple, there are also a three-storied brick monastery, remnants of sima (ordination hall), a water tank and a dhammasala or preaching hall in the premises of the enclosure." 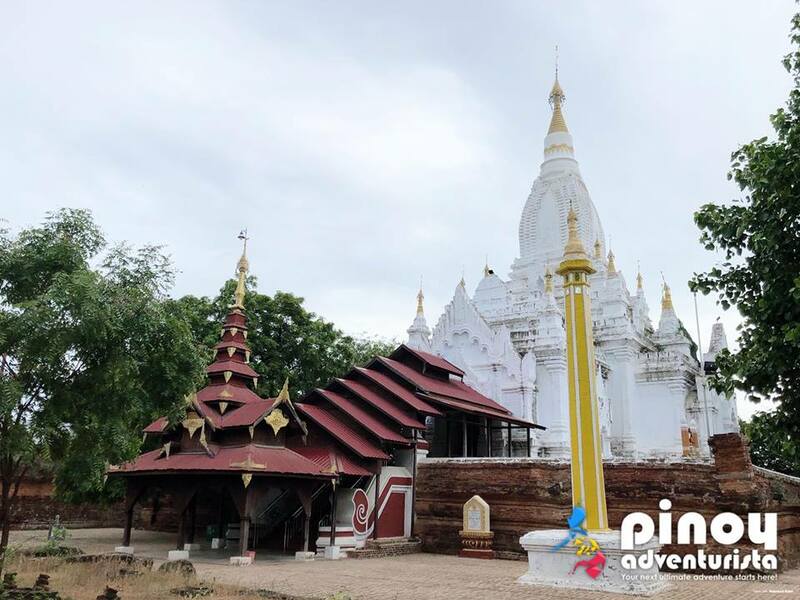 Located in the village of Pwasaw, east of Bagan, Dhamma Ya Zi Ka Pagoda is a huge Buddhist temple built in 1196 during the reign of King Narapatisithu. One of the most striking features of this temple is its huge bell shaped fully gilded dome. 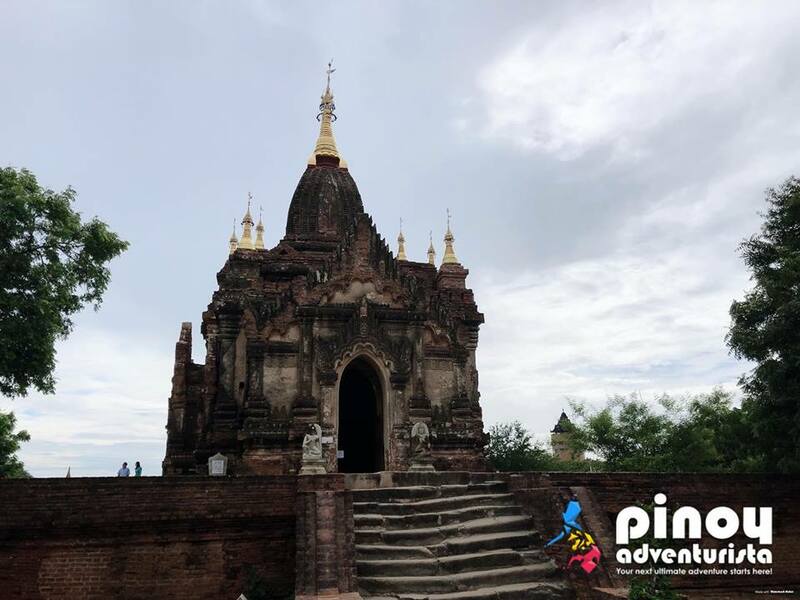 Unlike the other pagodas in Bagan which has a square floor plan, Dhamma Ya Zi Ka Pagoda has has a pentagonal layout with each side enshrining an image of the Buddha. This pagoda actually has a name, but I wasn't able to get it. Hahaha! This is where tourists are allowed to climb to the top of the pagoda where they can enjoy a stunning view of the sunset and the numerous pagodas and temples surrounding the area. 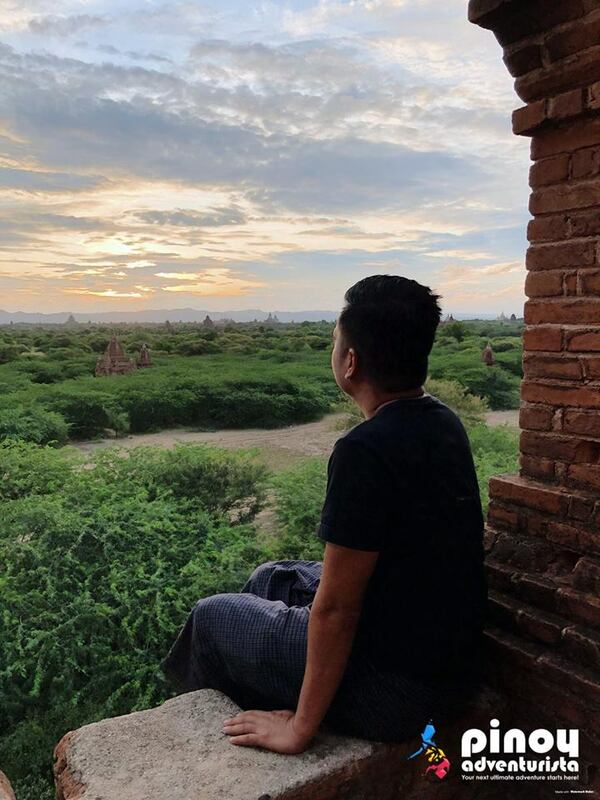 This is one of my favorites and definitely a good spot to see the sunset in Bagan. Here's a sample 4D/3N Bagan Itinerary. 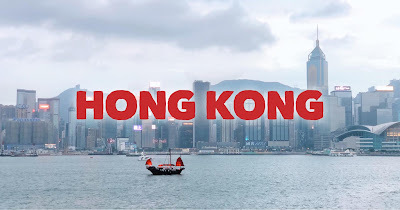 Feel free to modify or tweak this DIY itinerary based on the activities you want to do, tourist spots you want to visit, your travel route, and where you want to stay. 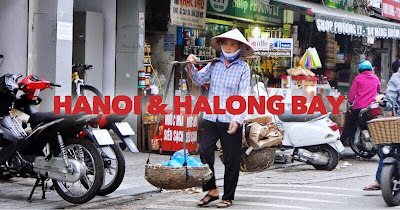 09:00 AM - Rent an e-bike from the hotel and bike around town, shop for souvenirs, look around. 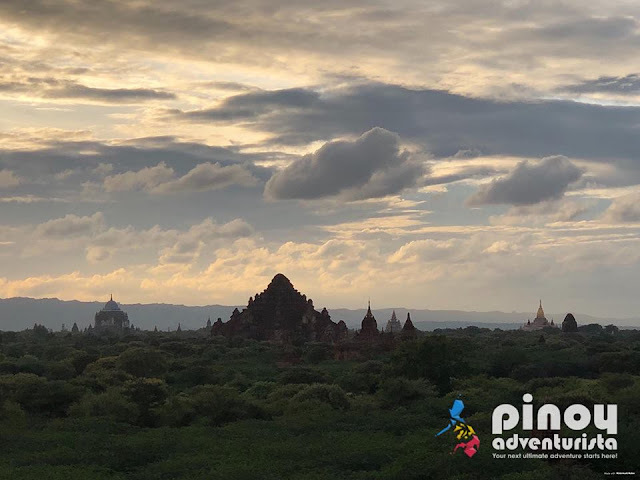 TRAVEL TIP: If came to Bagan for the hot air balloons, you may change the morning itinerary on your 3rd day with Bagan Hot Air Balloon Sunrise Experience. 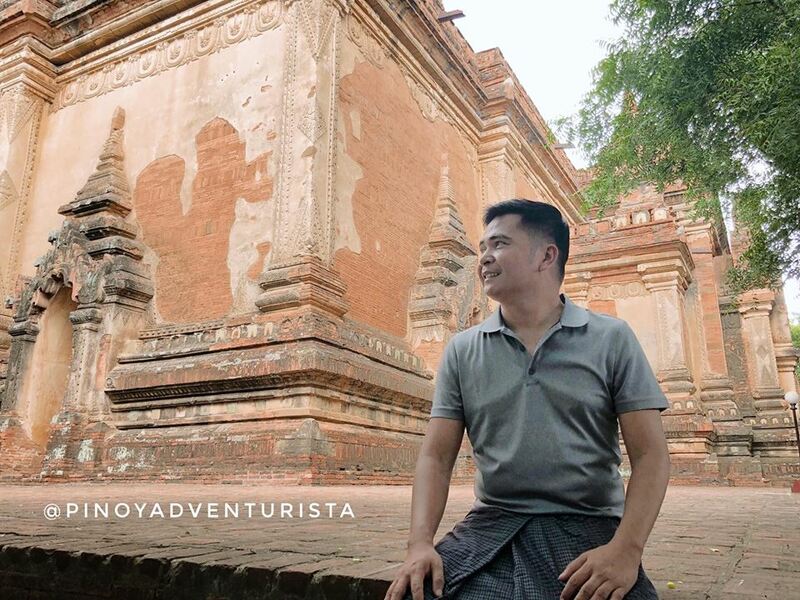 For other amazing guided tours and exciting day trips in and from Bagan, Myanmar PLEASE CLICK HERE. Your entry point is Mandalay and exit point is Yangon. You'll be traveling by land to Bagan from Mandalay. You will be sharing the travel expenses with one travel buddy. You will be staying in a private room at Zfreeti Hotel for PHP 3,560 for 2 nights / 2 pax = PHP 1,780 per person. Booked room at Zfreeti Hotel comes with complimentary buffet breakfast. Your budget for food is from USD 5 or PHP 250 per meal for lunch and dinner per person. 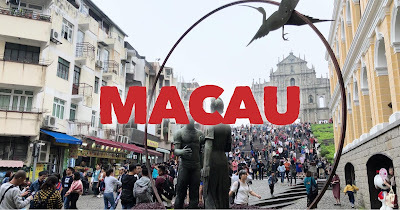 Please note that exchange rates, tours and hotel rates, car rental rates, bus fares and other expenses are subject to change and depend on the date of your trip. These rates are what we actually spent and paid for during our trip. 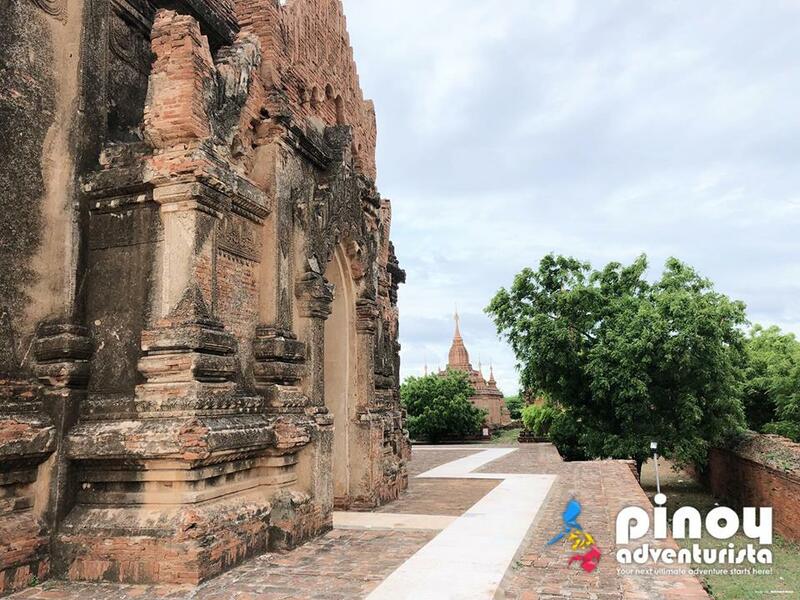 You can adjust this Bagan budget trip and expenses depending on how many are you in the group and how many days you plan to stay in Bagan. 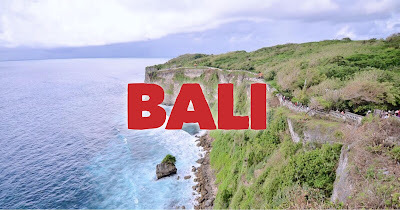 You can lower the expenses and save a bit more if you travel in a group of 4 persons to save on the cost of the private airport transfers, private car charter, and hotel room. And always make sure to have extra money for any emergencies and unexpected expenses. Don't forget to take off your shoes (including socks) or slippers before entering the temples. When exploring, best if you just wear slippers so it would be easy to take it off when entering the temples. When visiting a temple, the basic rule is to cover your shoulders and knees. This applies for both men and women. For us, we bought a longyi (a sheet of cloth worn around the waist) and we just wear it when entering a temple. If you want to see or ride a hot air balloon, the best time to visit Bagan is the during winter months which is from November to February. You can experience this at a discounted rate if you book online. 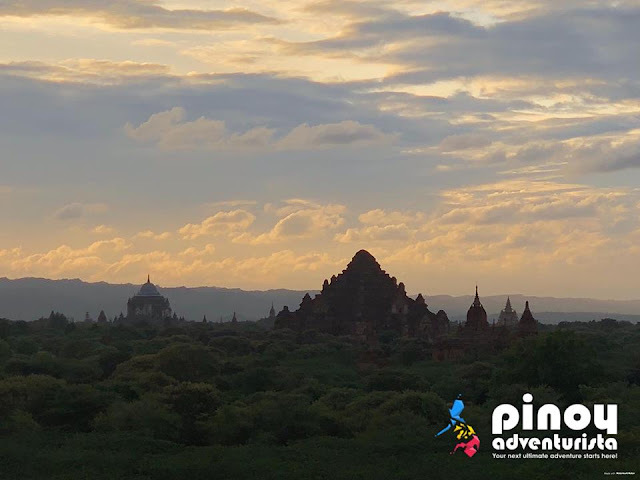 Click here for Bagan Hot Air Balloon Sunrise Experience in Bagan, Myanmar via Klook. To save on travel expenses, I highly recommend booking discounted tours, bus tickets, and car rentals in Bagan at Klook.com. 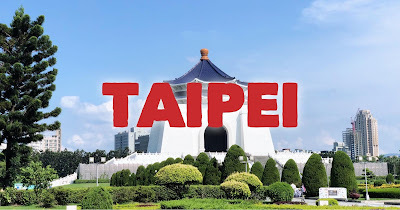 You can also join group tours, take public transportation, walk if you can, stay in hostels or budget hotels, and take advantage of flight seat sales and promos. 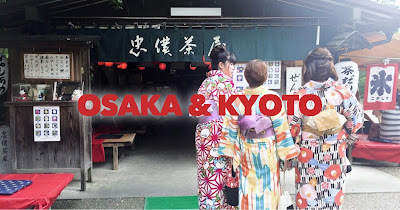 Joining group tours, is also a good way to meet new friends and fellow travelers from around the world. 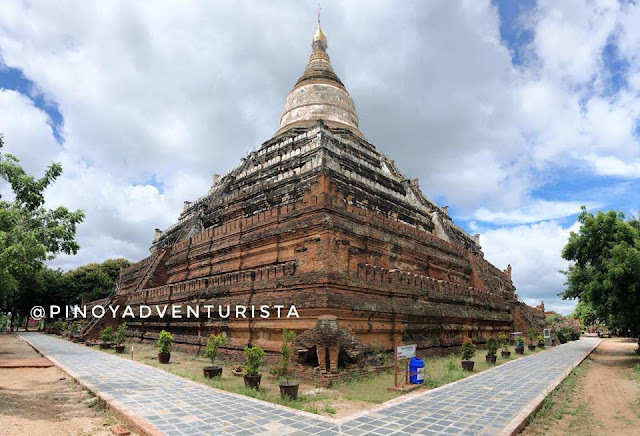 Click here to see available tours in Bagan, Myanmar. 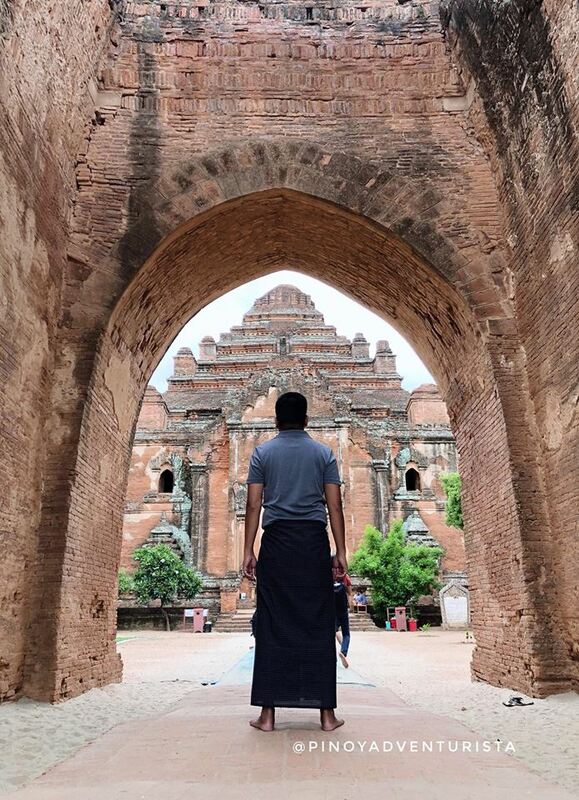 Overall, we truly had an amazing Bagan adventure! 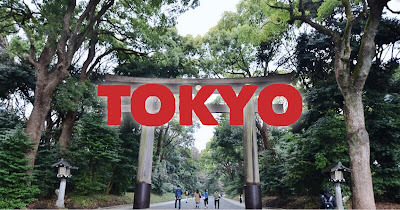 Given the chance, I would love to visit it again, soon! 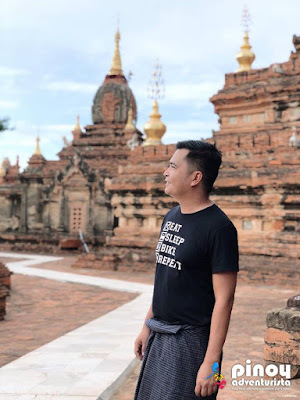 I hope this First-timer's Travel Guide to Bagan, Myanmar 2019 will help you in planning a memorable Bagan trip! Enjoy, have fun and safe travels!